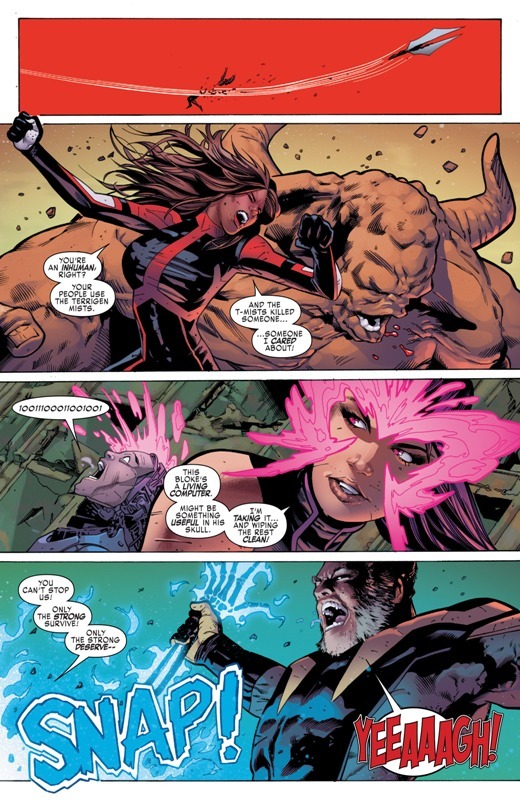 Spoilers up for Uncanny X-Men # 5 by Cullen Bunn and Greg Land. This is kinda interesting but still a bit dragging. It really feels like Marvel’s just dangling us X-Fans with a bone and they’ve got no real plan or idea when to give us the bone. It’s just there, dangling precariously by the edge. So anyway, in this issue we follow up on Psylocke, M and Sabretooth as they are still trapped inside a pyramid in Egypt. Good thing for them M can bust through stone traps like a boss. 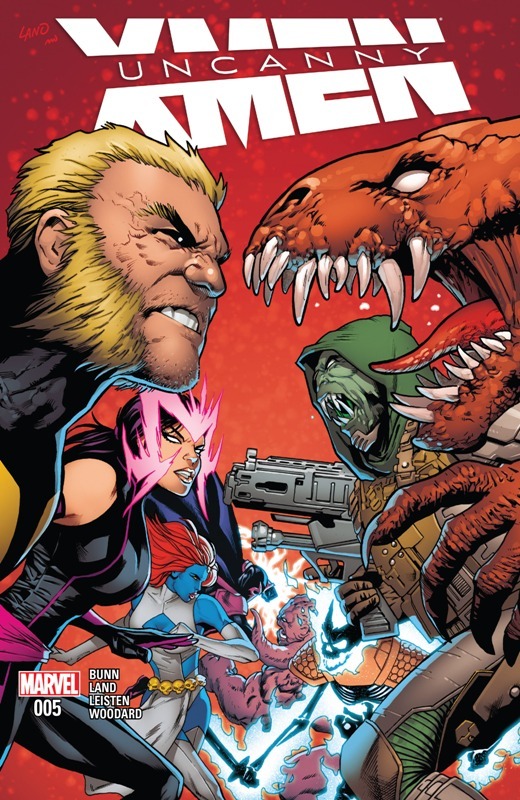 With them free, they decide to back up Magneto and Triage who they left in Genosha the previous issue. 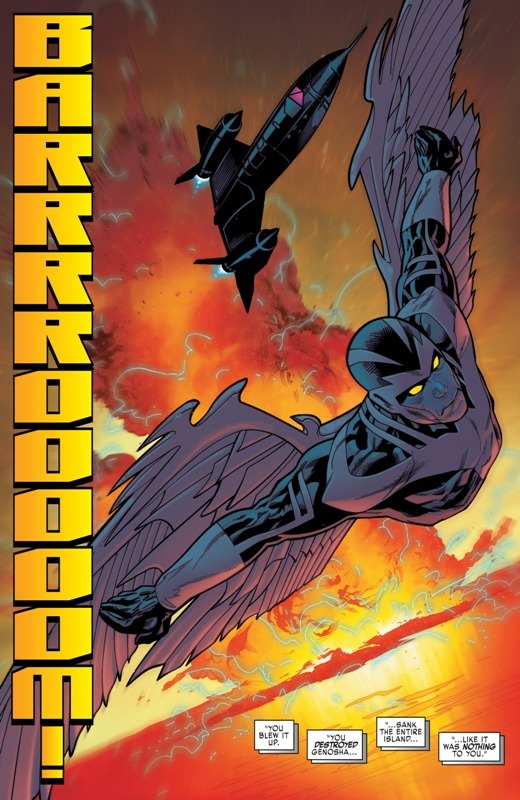 Back in Genosha, the Dark Riders have begun their attack and have also cornered Mags and Triage. 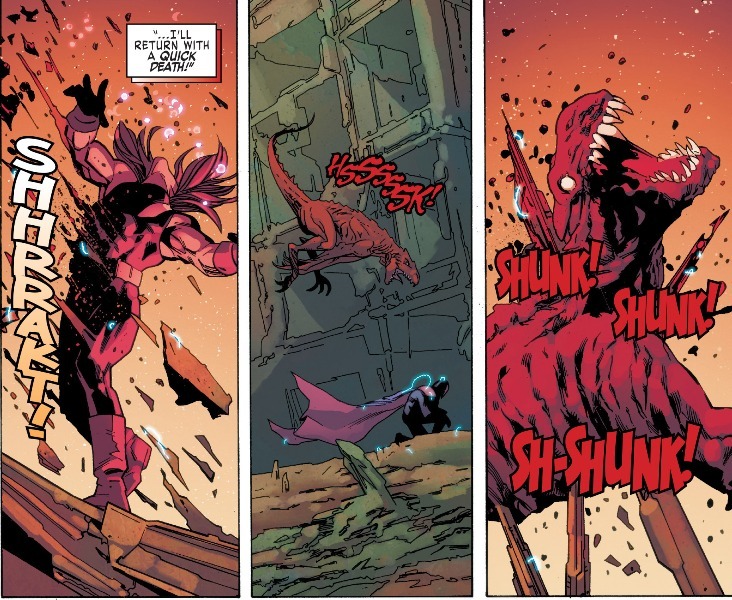 After almost getting his head blown, Magneto counters by killing a few of the Dark Riders in the most brutal fashion. It was also the opening that the rest of the team needed to attack the rest of the Dark Riders. Each of the team also gets a panel focusing on how brutal they are. Magneto then blows up Genosha; as in the entire island, using bombs he planted from a lifetime ago, when it had still life. So what happens to Triage? 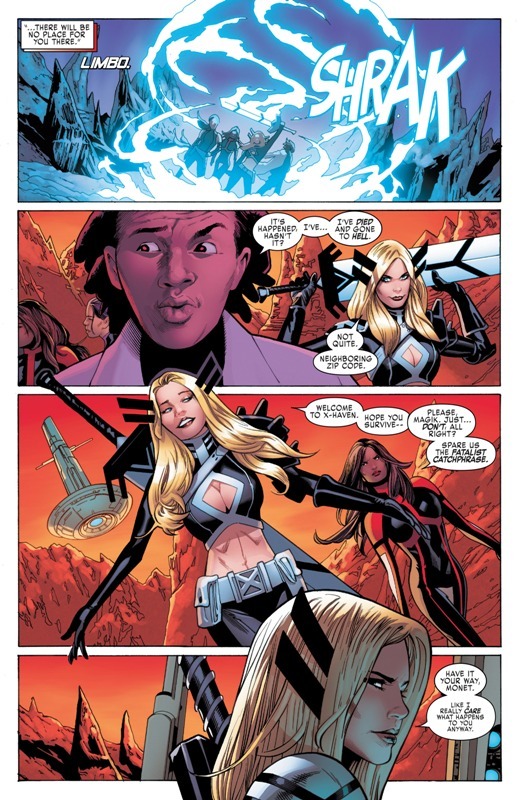 Obviously he couldn’t roll with this murderous team of X-Men so he gets sent packing to Storm’s X-Have, which is also home to the Extraordinary X-Men. 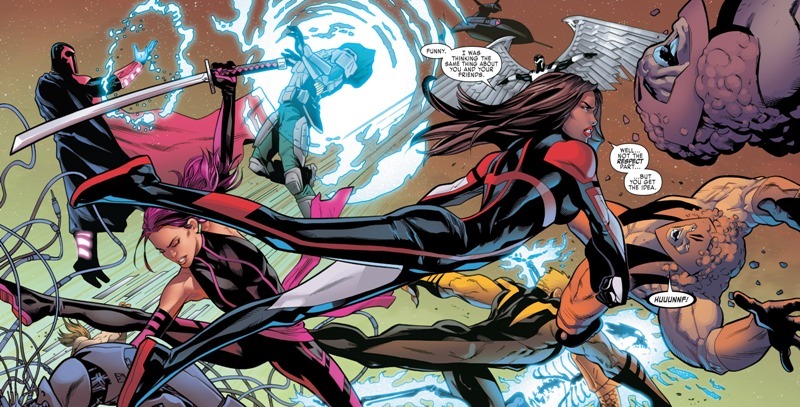 There Storm tries to get both Psylocke and M to join their team but she gets the thumbs down. 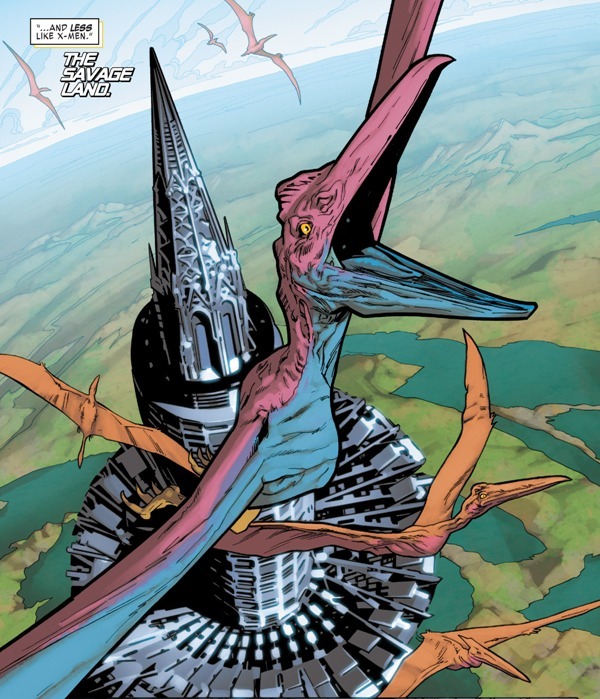 Meanwhile, Magneto sets up a new base of operation for his team and it’s in the Savage Land. 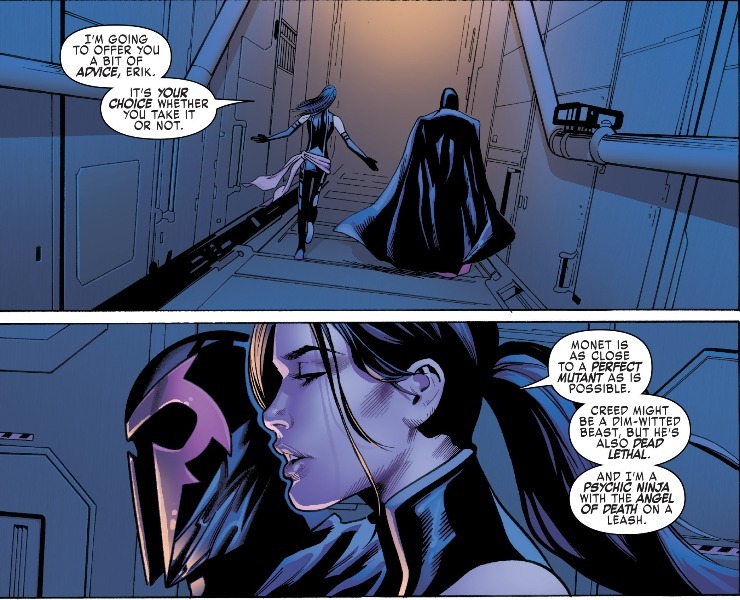 Psylocke and M return to War Room X in the Savage Land. 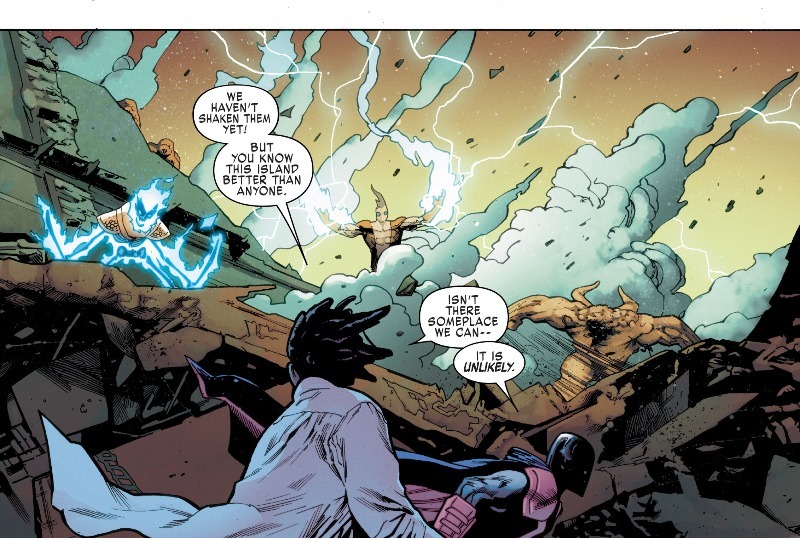 It’s also there that Betsy confronts Magneto about his secrets and his schemes. It’s also a good conversation that describes what the team can do. 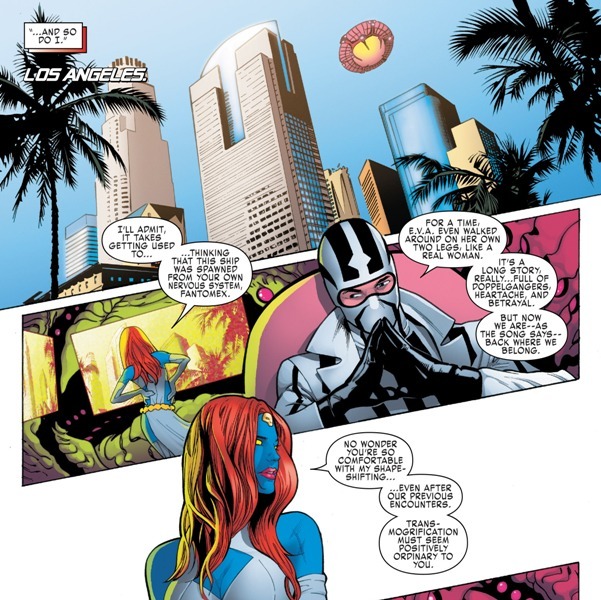 In another part of the world, Mystique and Fantomex discuss certain things while flying across the sky in E.V.A. 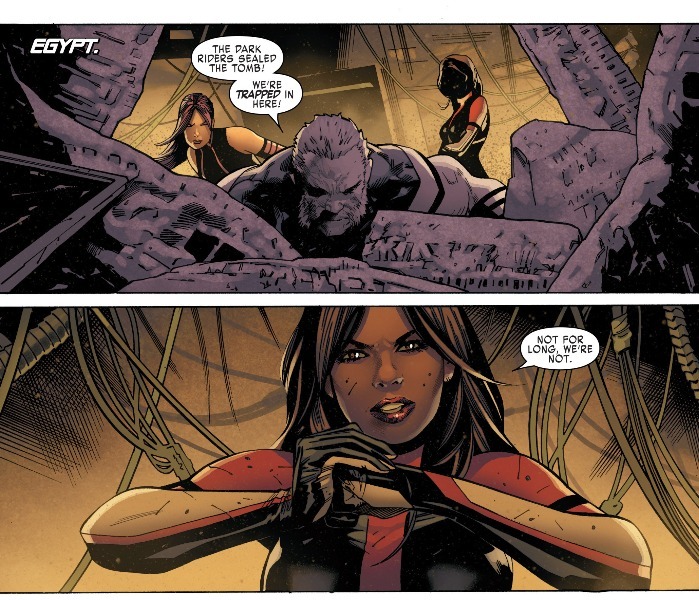 The issue ends with Magneto stopping EVA, and getting ready to have some words with Mystique and Fantomex. 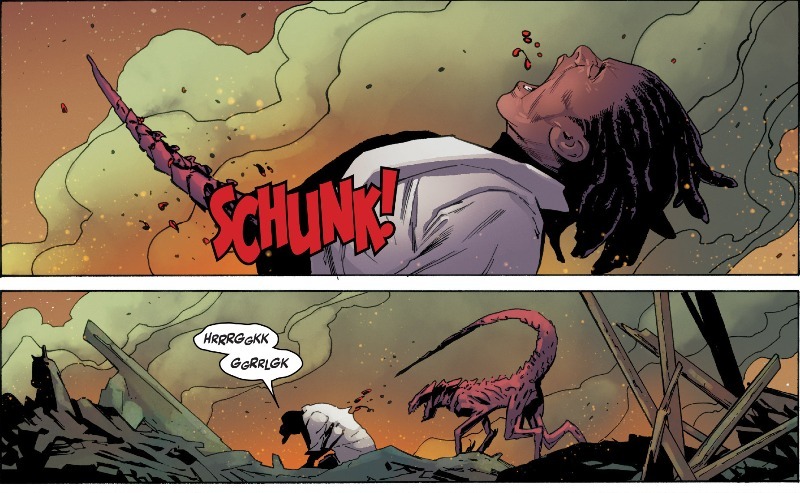 Don’t forget to pick up Uncanny X-Men # 5 from your LCS.